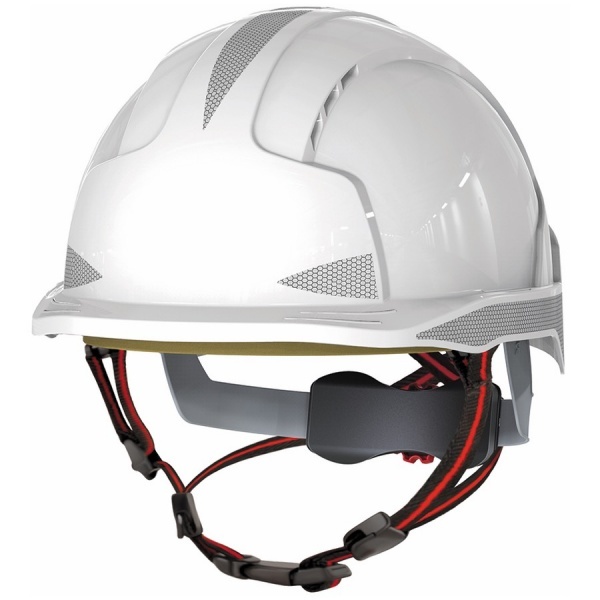 The EVOLite® Skyworker™ helmet has a suspension system and shell structure that has been designed to be used for industrial, mountaineering, rescue and leisure activities. Meeting the EN12492 standard. 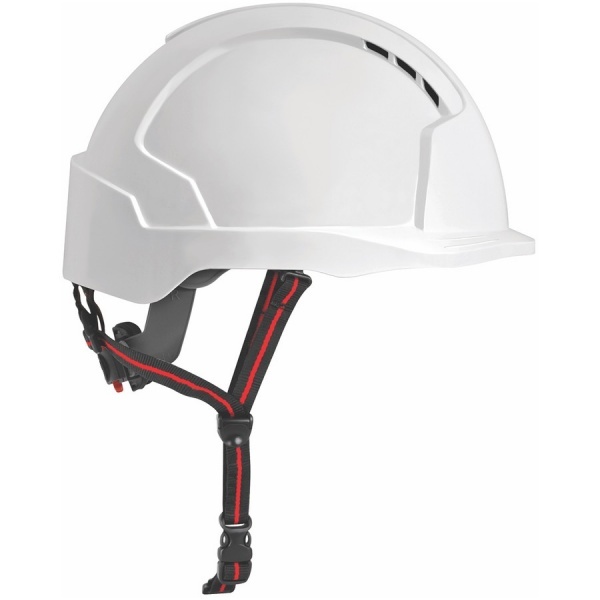 A helmet complying to the mountaineering standard is impact tested with two 5kg strikers. 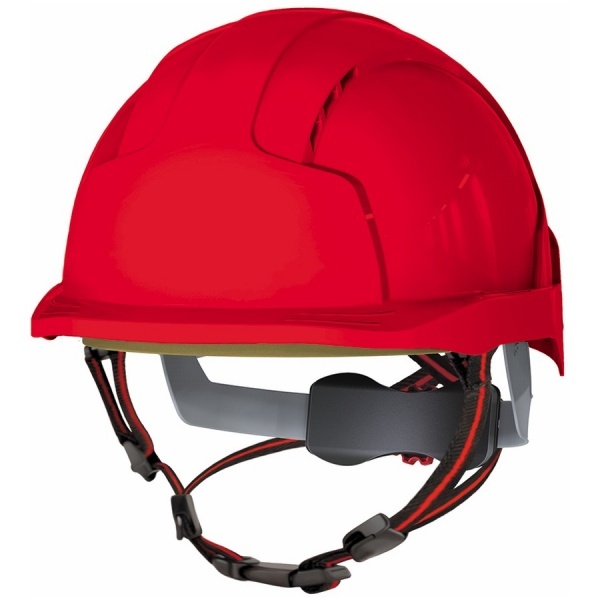 A hemispherical striker is dropped from 2 metres onto the crown of the helmet and a flat striker from 500mm on to the front, rear or side by tilting the headform to 30°. In all cases, the transmitted force through the neck of the headform must not exceed 10kN. 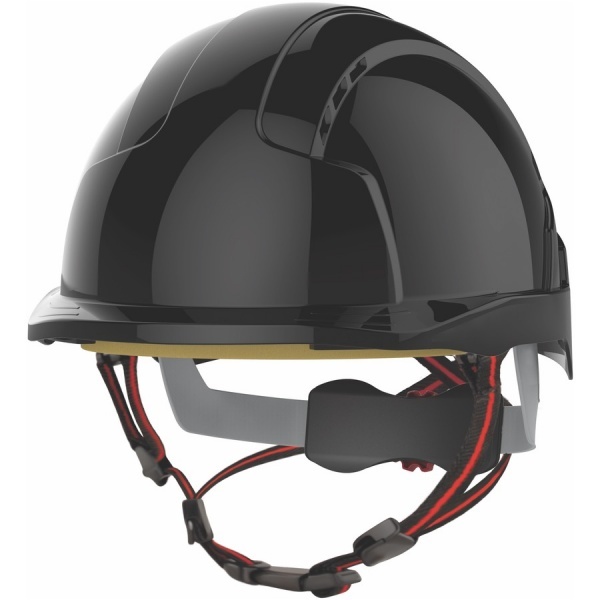 Two penetration tests with a 3kg pointed striker are also performed within a 50mm radius of the helmet's crown without making contact with the headform. Conforms to the mandatory shock absorption and penetration requirements of EN397 industrial standard. Side, front and rear impact protection from the shock absorbing E.P.S liner. A 6-point Terylene harness system with a Revolution® wheel ratchet & 3D adjustment. 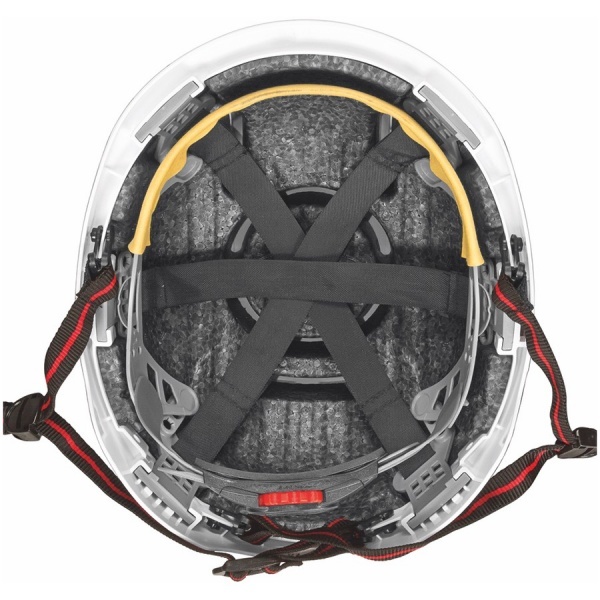 Fully adjustable 4-point chinstrap with quick release buckle. Side, front and rear impact protection from the shock absorbing E.P.S liner. The liner is vented to increase comfort whilst maintaining a high protection factor. 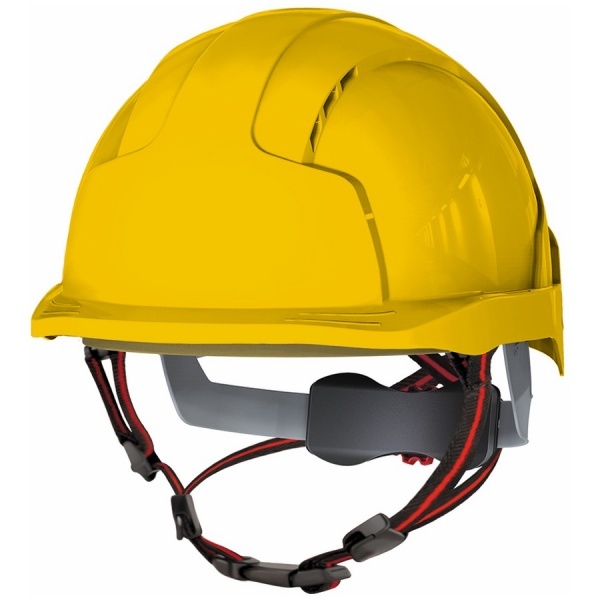 A 6-point Terylene harness system & Chamlon™ sweat band. 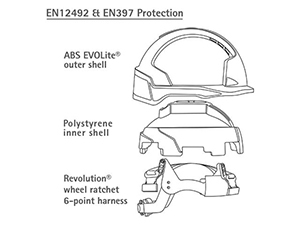 Revolution® wheel ratchet and 3D adjustment and a vented shell to reduce heat within the helmet. 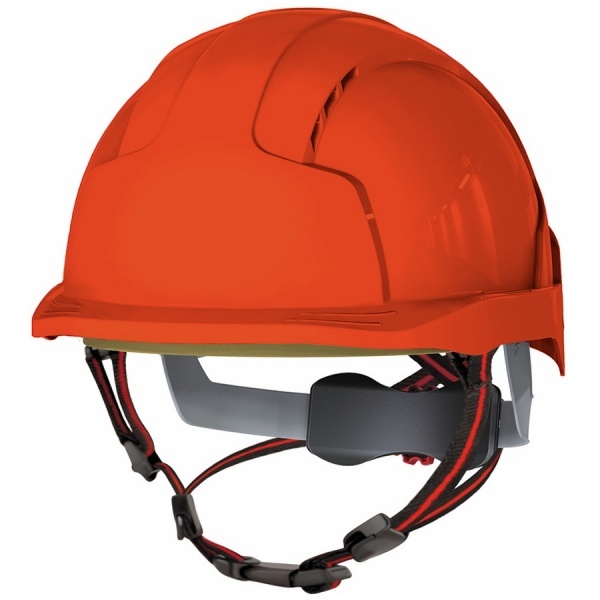 A universal attachment slot enables firm fitting of a range of Surefit™ safety visors, and ear defenders. CR2™ Reflectivity, high intensity class R2 reflective material option available to provide extra safety when working in low-light conditions.